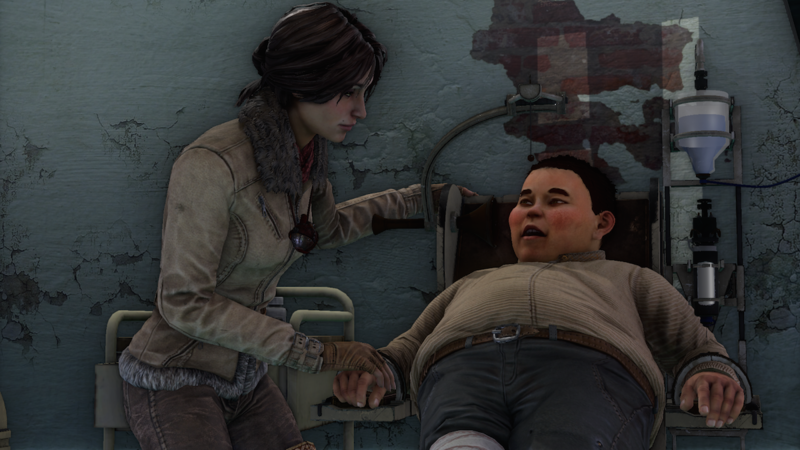 Kate Walker continues her epic journey in Syberia’s third installment. It has been well over a decade since Syberia 2 was released back in 2004. During the early 2000s, the Syberia games were marked as great adventure games full of puzzles and backstory. Naturally, after the second game came to a close, fans hoped for a third entry. Unfortunately, it was made clear at the time that there were no plans for Syberia 3. After 13 long years, Syberia 3 is still a welcome addition to the Syberia series. One that wastes no time reintroducing us to the game’s heroine, Kate Walker. Prior to loading up Syberia 3, we took the expanse of time between our last experience with Syberia into account and decided to snag Syberia and Syberia 2 on Steam for reference. Spoiler Warning: If you’ve yet to play Syberia 3, note that the rest of the review may contain spoilers. Before you jump into the game on PC, it's worth mentioning that the cursor is a white circle that's practically invisible on the home screen backdrop. You can use the arrow and enter keys to select different options, though, which is what we wound up doing. While we wish the game had controller support on PC, there are ways to manage using just a mouse and keyboard. Once you get past the home screen, the game opens with the Youkol tribe making their yearly migration towards the Snow Ostrich breeding grounds. The sight of the Youkol people riding atop these giant creatures brings us right back to the unique imagery found in the game’s predecessors. Furthermore, this creative imagery continues throughout Syberia 3 and really adds to the feel of the game. 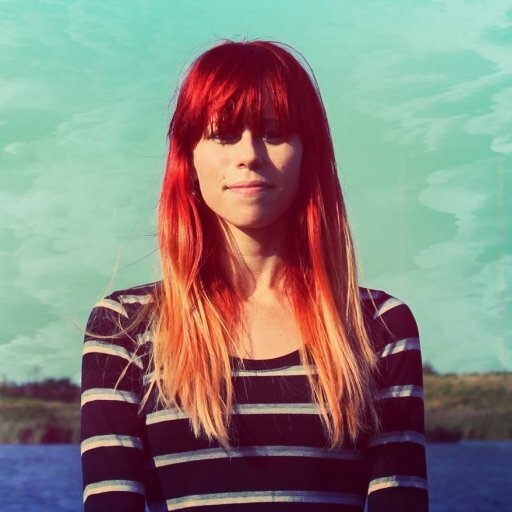 Conveniently for Kate Walker, she’s collapsed in a ruined boat right alongside the route the Youkols are traveling. After they find her and scoop her up, the game officially kicks off as Walker wakes up in a grim hospital setting beside a young Youkol named Kurk. There’s no way to skip any of the dialogue, which is fine for us as we adore Syberia’s story elements. However, if you’re not a fan of dialogue-heavy titles, you may find yourself growing a bit restless. The dialogue options remain pretty straightforward, though the scene in which Walker is interrogated prior to acquiring the key needed to leave the hospital does present the option to lie. Additionally, you can gain insight into what Kate thinks about each response before you make your selection, which we appreciated. In terms of the game’s puzzles, they’re pretty straightforward and won’t cause any hangups as you move from area to area. For example, we really loved the key puzzle in order to access the lift, where you have to move the various tendrils (we’ll call them tendrils for lack of a better description) into their proper slot. The only downside with many of these puzzles is mouse control if you’re playing Syberia 3 on PC. Interestingly enough, we found our PlayStation 4 playthrough to be a bit easier to navigate. 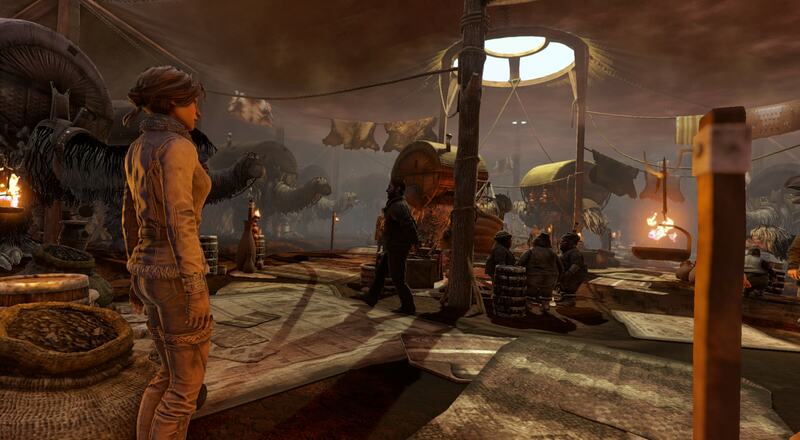 Again, we hope controller support will make its way to PC versions of Syberia 3. If not, owning a mouse with adjustable DPS settings may come in handy (with our 18,000 DPS mouse, we found the game easier to manage once we lowered it to around 10,000 DPS). The game is visually pleasing, though some reviewers have stated they feel the graphics look dated. After revisiting Syberia 2, we feel that the graphics are a huge step toward modernism in the series (which they should considering 13 years separate the two titles). While Syberia 3 may not be on the same graphic level as high-budget behemoths like Battlefield 1 and Horizon: Zero Dawn, it’s important to note that Syberia still is (at its core) an indie game. With the limited resources available to the dev team, the graphics are a good step in the right direction. Many have also pointed out that the voice acting isn’t the best. We tend to agree, though we were stoked they brought back Kate Walker’s original voice actress, Sharon Mann, who had no trouble picking up right where she left off. Main characters obviously do a better job expressing themselves than side characters, though this isn’t exactly uncommon in media. The only thing we found particularly grating about the voice acting and dialogue is the extreme emphasis on names. To elaborate a bit further, how every character seems intent to repeat a person’s name rather than “you” or “he/she” and how the name is often stated in full. By the end of the game, you really know the protagonist’s name is Kate Walker. The name's Walker… Kate Walker (we had to throw a Bond joke in there). Going further down the audio route, we enjoyed the soundtrack and felt it really stands out. Mainly because of just how well it adds to the mood of mystery and adventure in Syberia 3. In the end, the game definitely has some distinct hits and misses. 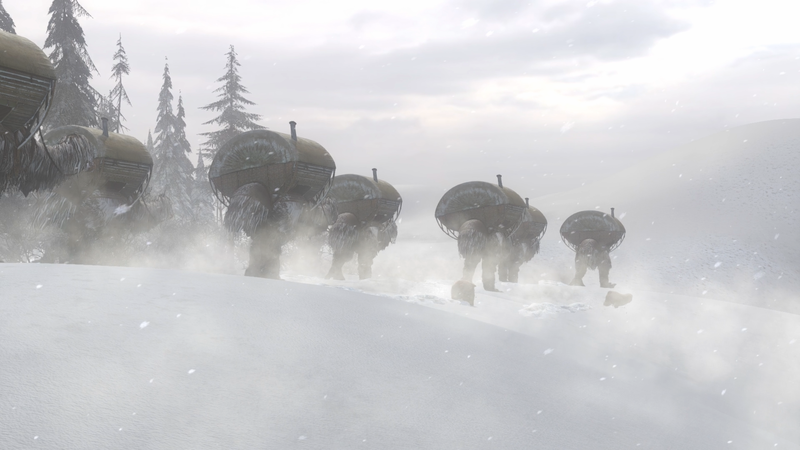 Despite that, the game is Syberia 3, a title fans have been pining for over the last decade. Its story truly is its greatest strength, and despite some of the quirks, you can’t help but get wrapped up in it. 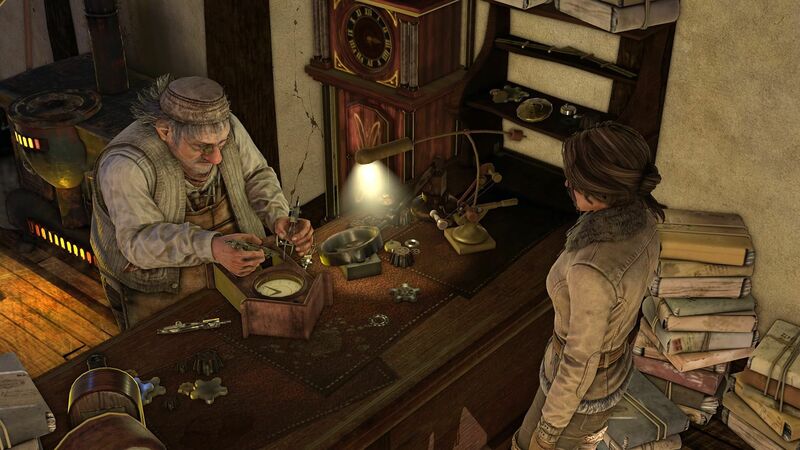 The game does a proper job at giving fans another taste of the unique aesthetic of the Syberia games, while offering engaging puzzles and elements of adventure. Is the game perfect? No. 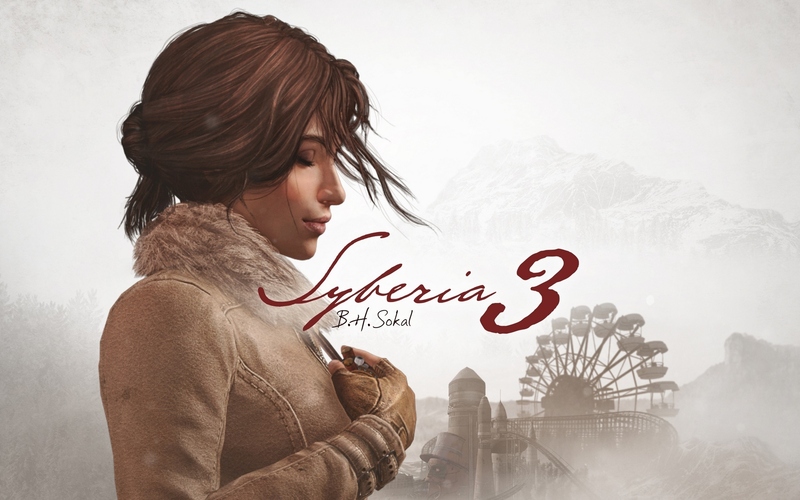 However, if you played the previous two Syberia games, you’ll have no issue with Syberia 3. Syberia 3 is currently available for PC, Android, iOS, PlayStation 4, and Xbox One. Additionally, a Nintendo Switch port is currently in the works, though no solid release date has been given for Syberia 3 on the Switch. You can learn more about the Syberia series by heading to the game's official website. Engaging story that will appease fans of the previous two Syberia games. Lack of controller support on PC. No way to skip dialogue.